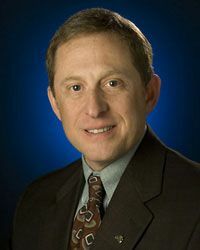 Alan Stern has beenfighting for Pluto's planethood ever since the icy body was demotedto "dwarf planet" in 2006. That year, theInternational Astronomical Union (IAU) came up with a new definitionof "planet": A body that circles the sun without beinganother object's moon, is large enough to be rounded by its owngravity (but not so big that it undergoes nuclear fusion, like astar) and has "cleared its neighborhood" of most otherorbiting bodies. Since Pluto sharesorbital space with many other objects in the Kuiper Belt — the ringof icy bodies beyond Neptune — it was relegatedto the newly created categoryof dwarf planet. The rethink waspartly a response to the discovery of Eris, by Caltech astronomerMike Brown. Eris, a rocky world circling the sun far beyond Pluto,was initially thought to be larger than its Kuiper Belt cousin. Butnewobservations of Eris have castdoubt on its size supremacy. Stern, a planetaryscientist at the Southwest Research Institute in Boulder, Colo., andleader of NASA's New Horizons mission to Pluto, strongly disagreeswith Pluto's demotion. In an e-mailinterview with SPACE.com, Stern lays out the casefor Pluto's planethood and explains whyit matters what we call Pluto and other objects in the solar system. What are yourmajor concerns with the current IAU definition of "planet?" One problem I havewith the IAU definition is that it's sloppy when it says asufficiently large object has to "clear its orbital zone"to qualify, because none of our solar system's planets orbit in afully cleared zone. All have some form of asteroids, comets or KuiperBelt objects passing through their orbital zone. But a larger problemis that so many of its proponents said back in 2006 that the IAUdefinition was specifically designed to limit the number of planetsto a small number. That, in my opinion, is not scientific. It'ssomewhere between personal preference and political. And mostimportantly, I and many other planetary scientists — like thealmost 400 that signed a petition against the IAU in 2006 — have aproblem with the IAU definition because the implications of it arejust nonsensical. Here's why. TheIAU's "zone-clearing" criteria, when worked outmathematically, means that to qualify as a planet at larger andlarger distances from the sun, a body has to have more and more massthan it would in a closer orbit. This is in part because the zonesget larger (like distance cubed, or volume) as you go outward; it'salso in part because orbital speeds are slower further out, sozone-clearing takes longer. The end result isthat many objects that can clear Mercury's zone can't clear thezone at Earth's orbit (including Mercury, as I recall), and anobject that can clear the zone at Earth might or might not be able toclear the zone at Pluto. In fact, Earth — the one object I thinkeveryone agrees is a planet — is too small to clear Pluto's zonein the age of the solar system, and would not be a planet by theIAU's way of thinking. So when people sayPluto can't clear its orbital zone, they should be fair and alsopoint out that planet Earth also couldn't clear a zone this farout, so the IAU definition would exclude an Earth — and a Mercury,a Venus or a Mars — at Pluto's distance. Thisdistance-dependent planethood criterion produces situations whereidentical objects don't classify identically at differentlocations, and results in a ridiculous and chaotic classificationscheme that isn't good for anyone — not for school kids, not forthe public or even for researchers. You've said thatthe decision to strip Pluto of its planethood was motivated partly byan unscientific desire to keep planets "special." What didyou mean by that? Last week, youinterviewedMike Brown about planet definitions.Mike once said to me during an NPR interview we did together in 2006,"We can't have 50 planets. My little daughter won't be ableto remember all their names." Well, I have twodaughters of my own, and really appreciate a father's love, butthis is hardly a scientific rationale. Did we limit the number ofstars for memorization convenience when Galileo turned his telescopeto the sky and found there weren't any more a countable number ofthem? Did we limit the number of galaxies when a similar discoverywas made about them? Do Earth scientists limit the numbers ofmountains or rivers to be named? Do biologists limit the number ofspecies? In all these casesthe answer is no, because science is about accepting new facts,independent of their convenience or inconvenience. And that should bethe case with planets, too. So I responded toMike on NPR that evening by saying, "Well, if we can't have 50planets but only eight, so kids can remember their names, then Iguess we ought to be going back to eight states, too." But to answer yourquestion more fully, many proponents of the IAU's planet definitionwant to limit the number of planets and say so all the time. When Ihear that, I think, why would anyone care to keep the number ofplanets small, except to protect their status as special? But you know, datais data. In planetary science, we've learned over the past 15 or soyears we were wrong — our solar system does not have nine or 10planets as we long thought it had, but more like 900. Moreover, we'velearned that most of the planets in our solar system are verydifferent from the first handful we knew about because they are muchsmaller, though they share virtually all other attributes in common. It's as if we'dgrown up on a desert island with only NBA-player-sized people andthen, on learning that the other people of the world are mostlysmaller, saying those people aren't really what we want to callhuman, because that would make us on the home island feel differentand less special. So when it comes tosmall planets outnumbering big ones (just as small stars outnumberbig ones), I say, "Cool, that was unexpected, but bring it on! "After all, reacting to new data and changing one's paradigm tobetter fit the totality of the facts is what science is all about. What definitionof "planet" do you prefer, and why? I like to tellaudiences that we'd be better off with the "Star Trek"test for planethood than what the IAU adopted. Whenever a starshipon "Star Trek" pulls up tosomething in space and turns on the viewfinder, the audience and theship's crew know, within about a second, whether it's a planet,or a star, or another spaceship, or a comet, or a nebula or anasteroid. Whatever. They don't need to know what else is nearby,they don't need to conduct a survey of the solar system andintegrate orbits to determine what objects have cleared their zone,they don't even need a Ph.D astronomer to advise them. They just know bylooking. They know, because it's not all that hard to tell a planetwhen you see one, and they know that it doesn't matter if it'salone or in a flock: if it's big and roundish, "not on firewith fusion," and not a spaceship, it's a planet. But more rigorously,since a 1991 article where I coined the term "dwarf planet"in analogy to dwarf stars and dwarf galaxies, I've promoted what wenow call the Geophysical Planet Definition, or GPD: A planet is anyobject in space that is massive enough for its self-gravity to createa state of hydrostatic equilibrium, but not so massive that its corecan at some point ignite in sustained nuclear fusion. This simpledefinition nicely traps planets as objects that are too big to actlike rocks (which control their shape by chemical bonds rather thangravity), and [too small to act like] stars (which are big enough tobe in hydrostatic equilibrium but which have done or currently donuclear fusion in their interiors). And in GPD, nothingelse matters — doesn't matter where we find it, in what kind oforbit or what it's close to or far from. In fact, that's how weclassify most other object types in astronomy — based on what itis, not where it is or what orbit it's in. What do you sayto those who argue that Pluto is just a big Kuiper Belt object? I say they'reright! But that doesn't really relate to whether Pluto is a planetor not. Just because Pluto orbits with many other dwarf planetsdoesn't change what it is, just as whether an object is a mountainor not doesn't depend on whether it's in a group or in isolation. What we see in theKuiper Belt is a third class of planets, the dwarf planets, or DPs.Most, like Pluto and Eris, have primarily rocky compositions (likeEarth), moons, and polar caps, atmospheres, seasons and otherattributes like the larger planets. They're just somewhat smaller. Back before theKuiper Belt was discovered, Pluto did look like a misfit that didn'tbelong with either the terrestrials or the giant planets. Turns outthat was exactly right, but now we know why: Pluto looked like amisfit because our technology back then couldn't see that it wasjust the brightest and easiest to detect of a large new class ofplanets. In fact, that'swhy it's clear Ceres [the largestobject in the asteroid belt] wasa planet all along, but was misclassified for a time because wedidn't have enough similar examples to recognize dwarf planets astheir own category. Today, however, it's clear the DPs outnumberboth of the other two planet classes we know of in our solar system —the giants and the terrestrials. Which types look to be the misfitnow, versus the norm? Some people seem tobe uncomfortable with that fact. I see it as just another step in theCopernican revolution that began by displacing the Earth from thecenter of the universe. Do you thinkastronomers will ever come to a consensus? I do. I expect thatbefore long, consensus will be that our solar system was good atmaking planets in very large numbers, and that most of them arefaraway dwarfs, rather than the closer big guys that we knew about inchildhood. Then schools willteach that, like the rivers of Earth, there is a huge number ofplanetsin our solarsystem, and you only need to remember the namesof the ones that are nearby or particularly famous. Does it matterwhether we call dwarf planets full-fledged planets or not? Is thisjust a semantic issue, or does it hit on something more important? I think it matters.One thing scientists do is to find order among a large number offacts, and one way to do that across fields as diverse as biology,geology, physics and astronomy, is through classification. Yes, in planetaryscience we have found our old classification scheme wanting becausewe've recently discovered a large number of small planets far outin the solar system, as well as hot Jupiters and super-Earths aroundother stars, and planets with strange new orbits, and planetsorbiting pulsars. I don't think ourjob as planetary scientists and astronomers is to react to this newdata that planets are much more diverse in size, orbit, and locationthan we knew by saying there's no longer any reason to classifythem, and that the word planet has lost all meaning. I think our job isfind a better classification scheme that makes sense in light of thenew data. As I said about the "Star Trek" test, it reallyisn't so hard to do. And after all, thefield is called "planetary science." To say that what aplanet is doesn't matter would be to imply that a planetary scientistcouldn't explain to someone what the field is about. How would thatbe a good thing? POLL:Should Pluto's Planet Status Be Revisited?